Who needs a mock draft when you have a VIP club of minority owners running the show? Miami Dolphins owner Stephen Ross' brainchild appears to have a mind of its own and right now its focus is on the NFL Draft. 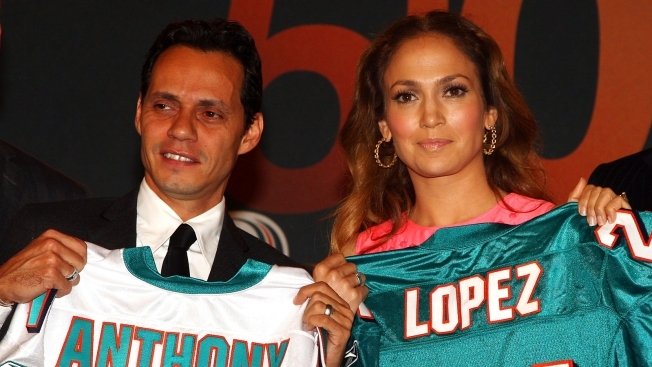 With that intro we bring you the incredible football mind of Jennifer Lopez, one of the celebrity minority owners of the team, who has her own opinion on who the Dolphins should pick and she shared it with Jay Leno on The Tonight Show. "We have the 12th pick, you know, so I’m leaning towards Dan Williams,” J. Lo said. “We need a defensive tackle, he’s really explosive off the line, can beat the double team and does a nice job finishing the play." That might be the most intelligent piece of advice Bill Parcells will hear going into tonight's draft. On second thought, that might be the most insightful thing J. Lo has ever said. It's no given that Williams will be there at No. 12, but with Jason Ferguson suspended for the first eight games and getting long in the tooth, Williams is not only the smart play, but likely the correct one for the Dolphins. But could the Tuna really swallow his ego and take advice from a former Fly Girl? Technically, she is his boss. We're not sure what the language in the minority owner contract says, but it would be kind of cool if Ross let the VIP boardroom hang out in the Dolphin draft war room and offer up opinions on the picks. Who wouldn't want to hear from Venus and Serena Williams? They have tons of experience evaluating professional football players. They've both dated them. The Estefans, if they could spare a moment from marching on Cuba and schmoozing with President Barack Obama, could also provide some interesting insight. And Jimmy Buffett could write a song about the whole thing. By the way, we agree with J. Lo: take Williams if he is there at No. 12.